A trip into Miami’s new underground psychedelic arts scene. 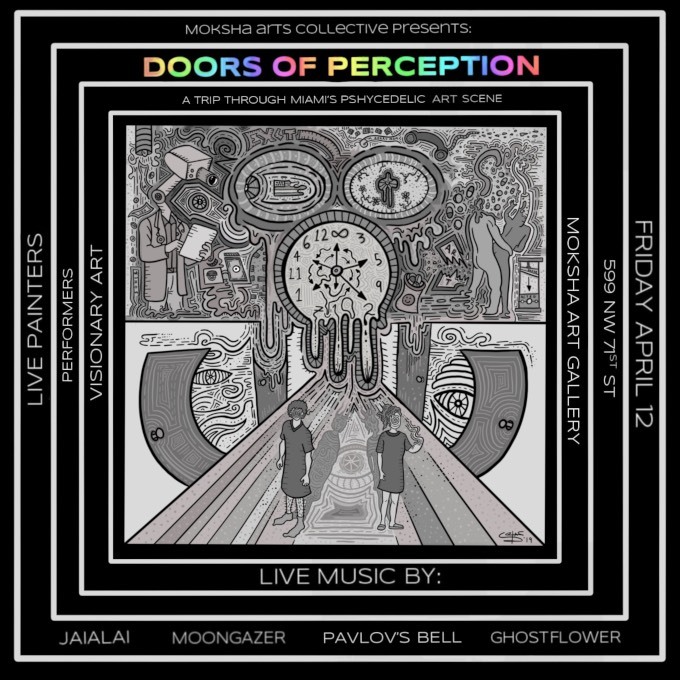 Featuring Miami’s premier psychedelic rock bands, live visual artists, performance art, and more. Some of these bands were featured at the 3 points festival. Located at the Moksha Arts Collective studio, which features paintings from world-renowned visionary artists, and has a goal of reconnecting human culture to its roots by supporting and empowering artists. Friday April 12, 2019 – 9PM – 2AM -$10 admission at the door. Between I-95 and 7th Ave/441 on 71st St.